Lights. Air conditioning. Humidity control. Those are the three things Gary Howard, who has nearly two decades of experience in the cannabis industry, will never cheap out on. But it’s the last one—humidity control—where he sees too many growers taking too many risks and making mistakes. As owner of Urban Garden Center and managing director of Safe Alternatives Dispensary in Maine, Howard has witnessed the errors of other growers—and yeah, made a few of his own along the way. Those mishaps include everything from employing undersized dehumidifiers to operating with poor air circulation, resulting in stagnant growing environments. 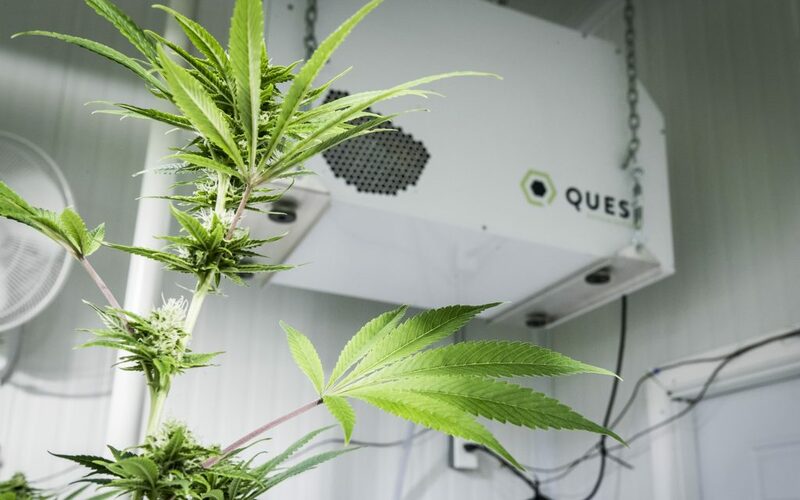 Howard and Clif Tomasini, another industry veteran and business director at Quest Dehumidifiers, have several tried-and-true tips that any indoor cannabis grower, from home hobbyist to commercial cultivator, can implement to perfect humidity levels for their operation. Building techniques have come a long way, and one of the best ways to create a stable environment that allows for humidity management is to make sure your room is properly sealed and insulated, says Tomasini. Commercial builders know this and use things like foam insulation to create a thick barrier between the grow room and the outside environment. This is critical not just in regions where outdoor humidity is high, but nearly everywhere, including Colorado and New Mexico. Temperature is a concern for every grower, given the immense amount of heat that lights can produce. But, when controlling temperature, consistency is key. Two factors contribute to the temperature fluctuation in air conditioning systems: the deadband and short cycling. The deadband is a three to five-degree Fahrenheit range around the temperature a thermostat is set to. At the upper edge of the deadband, an AC unit will cycle on to keep things cool; at the lower end, the AC shuts off to prevent things getting too cold. Given the nature of this band, oversized AC systems tend to run in brief periods or short cycles, which not only gobble up excessive amounts of energy, but also create an unstable growing environment in which temperatures and humidity spike and dip rapidly over a brief span of time. Oversized air conditioners aren’t the only problem growers face, though. When an AC unit is too small, the temperature gradually rises over time. As temperatures rise, withering becomes a major problem for cannabis plants, which thrive in a predictable, consistent climate. According to Tomasini, the key to effective temperature and humidity control is to size your AC so it runs consistent cycles for longer durations to minimize changes within the deadband. Pictured on a graph, a proper temperature and humidity cycle would look like a long, shallow wave rather than a jagged reading with lots of spikes and valleys. Sizing your AC also requires understanding of the region where you grow, number of lights in your grow, and how your room is insulated. When an AC unit is sized properly, it also helps pull more water from the air, which puts less strain on your dehumidifiers and helps them work in a more predictable fashion. Despite the fact that it holds water, humid air is lighter than the rest of the air surrounding it, so it rises to the top of a grow room. CO2, critical for plant growth, settles near the bottom of the room. For those reasons, Howard and Tomasini agreed that circulating air is a vital component in a healthy grow. Floor fans are the easy answer, Howard says. 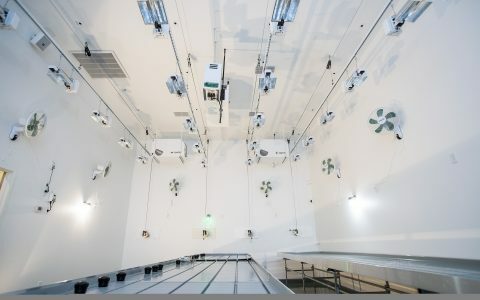 These fans can pull air through the plant canopy, helping to create a more consistent environment with balanced humidity levels and a more equal distribution of CO2. One of the simplest and cheapest things growers can do to manage humidity, Tomasini says, is managing standing water effectively. This simple solution is one of the most commonly overlooked. Growers should ensure the grow room has proper drainage, so that if overwatering occurs, stagnant water doesn’t pool on the ground adding unnecessary humidity to the space. In addition, any water reservoirs in a growing space need to be covered to keep that water where it belongs. 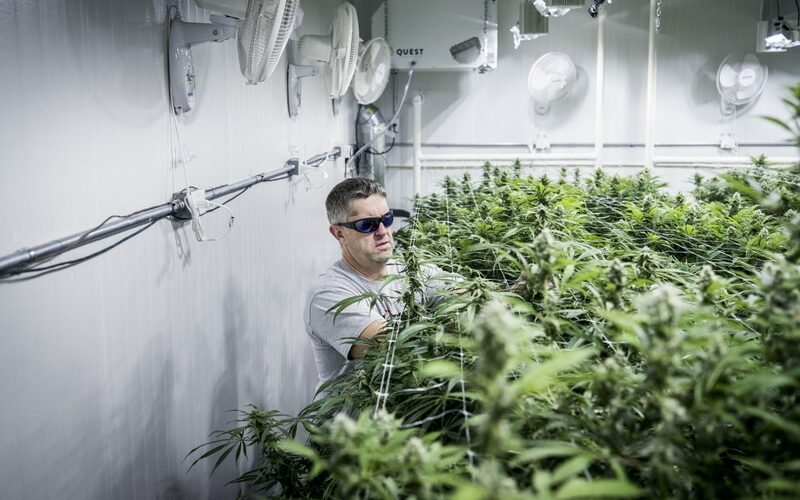 It may sound obvious to use a dedicated dehumidifier when trying to control humidity, but in all his years of experience, Howard says it’s an area where he has seen many growers—particularly new ones—try to cut corners. Residential dehumidifiers are a poor choice for a grow room for a couple of reasons. First, they are inefficient, using a lot of electricity to do fairly little work and resulting in outsized electrical bills. 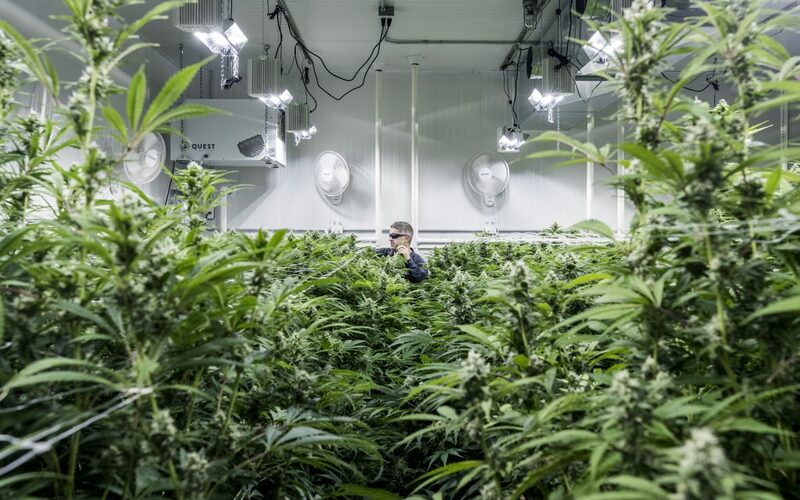 Secondly, and more importantly, they simply aren’t built to hold up under the workload of a grow room, which needs the capacity of a commercial dehumidifier. As with air-conditioning, knowing how to size a dehumidifier for your room is also critical. Plants transpire about 97 percent of the water they absorb, so you want a large enough dehumidifier, or multiple units, to pull that amount from the air, while also having redundancy built into the system so that if one piece needs maintenance, the rest of the setup hums along efficiently.